Question: How are Essential Oils Extracted from Plants? Jonathan from Findlay, OH writes, "I love using aromatic plants in my cooking and (as essential oils) in my soap. I can understand how orange peel or mint or rosemary (really strong smelling plants) can have lots of essential oil, but how do you get essential oils from flowers, more delicate plants or harder plants or trees like cedarwood or cinnamon?" Answer: Jonathon, you've asked about one of my favorite subjects...essential oils. Essential oils are amazing compounds - one of the true wonders of nature. They are the "essence" of the plant - what makes it special. The oils are stored in the cells of the plants - sometimes in the leaves or needles (like in mint or pine), in the flowers (like rose or chamomile), bark (like birch or cinnamon), roots (like ginger or spikenard), in the skin or rind (like in citrus fruits) or in the seeds (like cardamom or anise). You're so right about some plants just bursting with scent. All you have to do is brush up against a rosemary bush, a clary sage plant, or rub a few mint leaves together to release their scent. But other plants are not so generous with their scented oil. It takes 2000-5000 pounds of rose petals to yield one pound of rose essential oil. It takes 1000 pounds of jasmine (about 3 million flowers) to yield a pound of jasmine essential oil. Compared to these, lavender seems like a bargain! Only 200 pounds of flowers to make a pound of lavender essential oil. 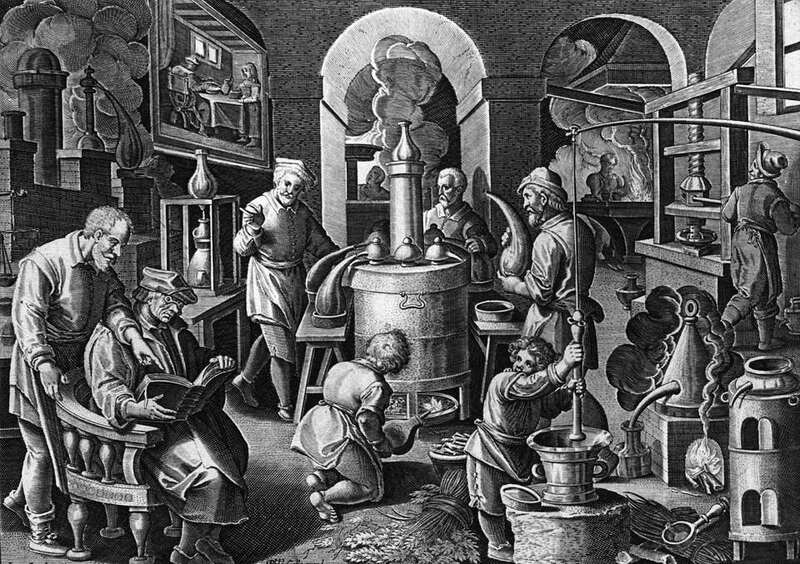 The majority of essential oils are obtained through two methods: distillation and expression. Expression works for citrus oils like orange, lemon and lime (the rind is pressed, squeezing the oil out), but the majority of the rest of the essential oils come from some sort of distillation either water or steam. Some essential oils, most particularly citrus oils, are distilled and then re-distilled several times. This is called a "folded" oils. The folding process makes the oils more concentrated and purer smelling, and removes some of the volatile compounds (called terpenes) that are more volatile and prone to oxidation. Since the terpenes have been removed, the essential oils will last longer, both in your soaps or candles and in the bottle. There are also some rarer plants that need to have their essential oils solvent extracted - these are usually referred to as concretes, resinoids or absolutes. But steam is the key to most of the essential oils that we work with as candle and soap makers. YOu take a lot of plant material, add some steam, and out comes the wonderful essential oil. Here's more information about water and steam distillation of essential oils.